Ulrica Nordström is a Swedish independent writer and plant worker. Ulrica is a trained journalist and has previously worked as a reporter, communicator and teacher. In recent years she has created a plant art under the name Siccus Stockholm. Passionate about the natural world, Ulrica mainly writes about animals, plants and the environment. 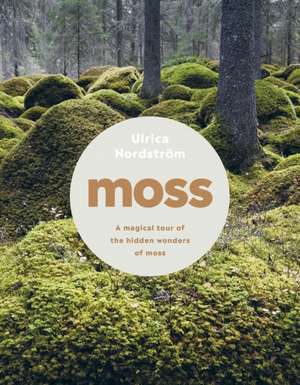 Moss is her second book, and the first to be translated into English.